1. Gather leaves of interesting shapes and sizes... doesn't matter if they're still green. 2. Set up a leaf studio with crayons (beeswax blocks are our favorite for rubbing) and watercolors. 3. 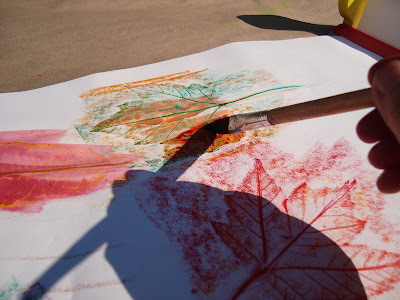 Taping leaves to your surface first makes it easier for little artists. Place tape on the front of leaf and flip over. The back side of every leaf gives a better outline. 4. 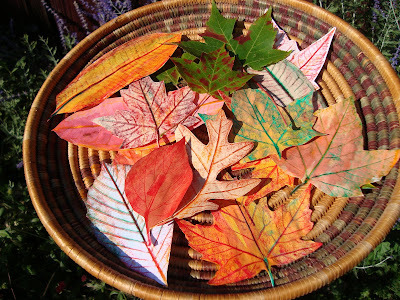 Cover leaves with paper and rub your crayons (we choose only fall colors) over each one. 5. Wax resist some of them... add watercolors to each leaf for a little batik effect. 6. Any age can participate in the first steps, but the final step, cutting them out, should be reserved for older children and adults (for safety reasons and less frustration). 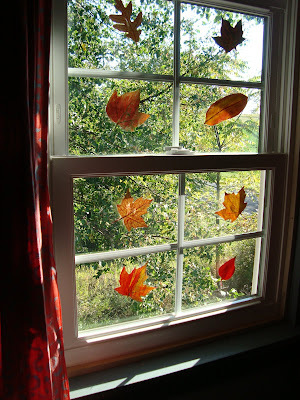 We attach the leaves with a small bit of double sided tape to our windows and watch the sun stream through them. Another wonderful way to spend time creatively with kids... you're a teasure-trove of them!! 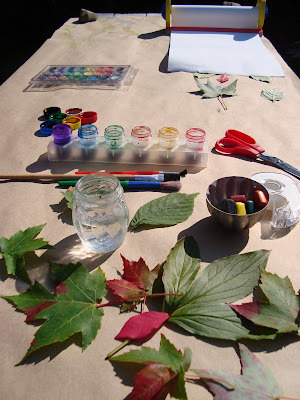 It's the wrong season here - we're spring chickens on this end of the globe - but this will be in my mind's store of things to do in Autumn (or I'll get the "paint and cardboard" parent onto the job!!). Oh I love the newspaper leaf! I think that looks like a perfect way to spend my day...too bad I have to work. Working from home really does put a strain on your creative time! Are the leaves in the first picture (in the basket) paper leaves you've cut out? Did you pull off the real leaves from the back? Those are great. I love the newspaper one! Thanks so much...this is a project we've done for so many years and it's very exciting to try a twist on it. The newspaper leaves are going to be very fun to work with. Clarification for Magnoliasmama- The basket of leaves in the top photo is a variety of paper and real leaves...so sorry if it wasn't clear...tape the real leaves to your work surface so that they don't shift around as you rub. Place paper directly on top of them. 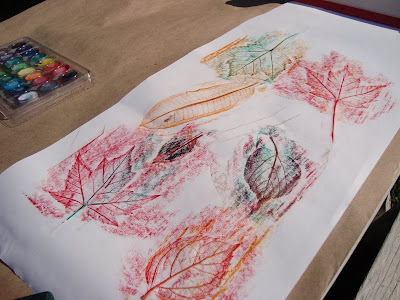 Cut out your leaf rubbings from the paper. Thanks for asking...questions are always welcome...I write my posts late at night and need an editor! Such a neat idea. I'll certainly be trying this. But can you please tell me what it means to "wax resist" the rubbings? P.S. 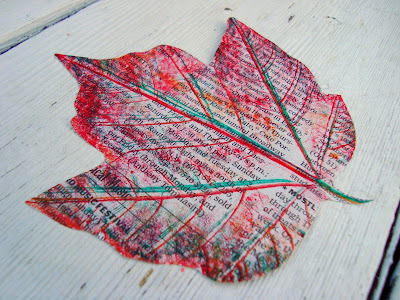 Forgot to add how much I like the newspaper leaf, too! Would you consider posting a photo of your window display when it is finished? Love this! My girls are just starting to get interested in leaves and keep collecting them. We'll have to give this a try. Very cute :) I can't wait for the leaves to actually turn red and orange and all those brilliant colours, that is, before they become a soggy mess on the ground. Oh, such a pretty project! Another beautiful tutorial! I love the watercolor over the crayon. It gives the leaf such a beautiful texture and tone. The leaves on the window remind me of stained glass with the light shining through. This one will be a good one to try with my kiddo on a rainy day! They look fantastic. We might have to give it a go, even though it's Autumn here. Awesome! I love taking leaf rubbings, thanks for reminding me to do so! The newspaper one is gorgeous! These leaves are really pretty. Must give this a go soon. 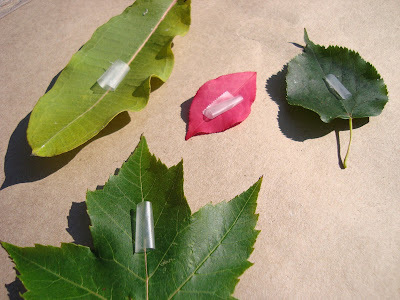 The children would love this activity allong with the walk to gather the leaves. Oh, I like how you added using the watercolor! And the newspaper one looks great as well. These are incredible. Thanks for sharing! What a great way to bring Fall to Florida! We just did this project and my kids LOVED it!! The only problame I have is when we painted them they didn't look as pretty as yours do in the window. :( Ours look messy. What did I do wrong?? 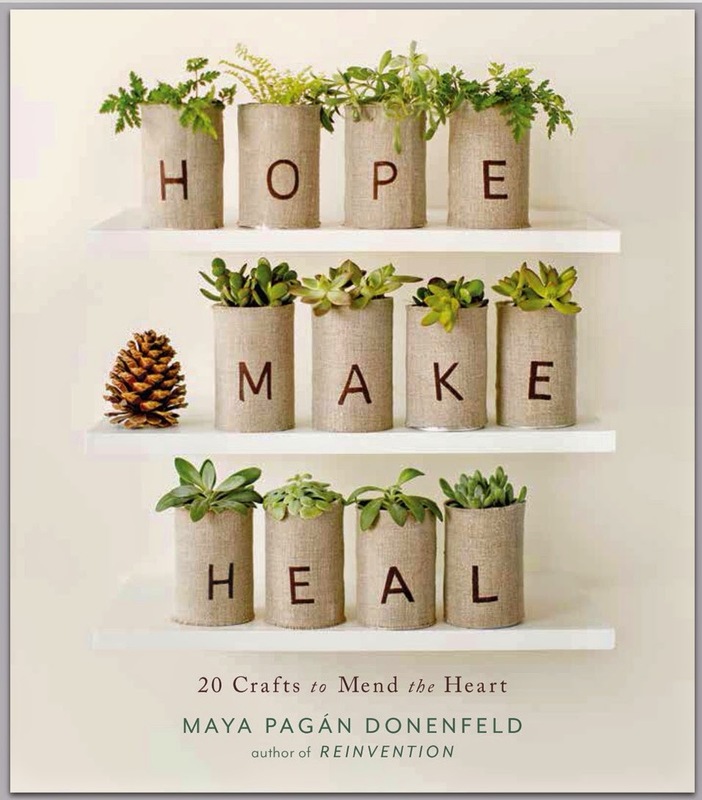 great craft idea! I may be using this for a fall class project, thank you! 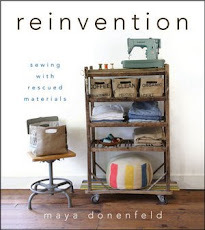 Fantastic idea, fantastic Blog!! YAY! Thank you for sharing! Did this yesterday with my kiddos and taping the leaves was genius! Never would have thought of that on my own. They thought it was way cooler than I would have guessed they would. These are so pretty. I love the idea of bringing the look of fall leaves inside.